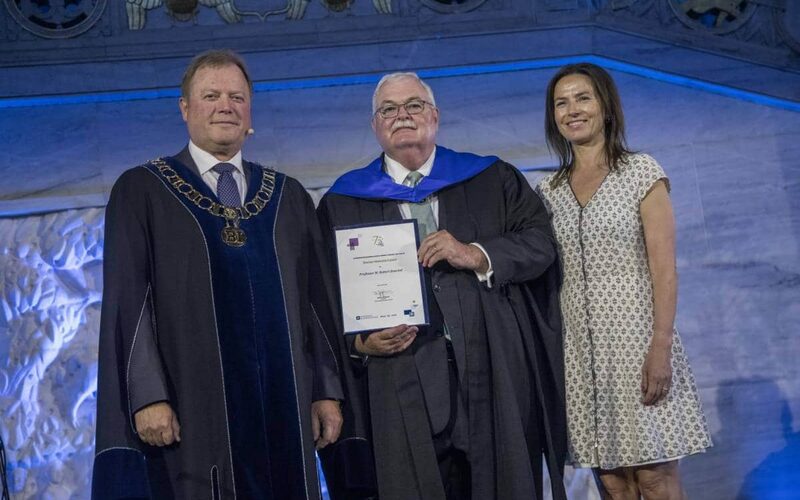 GAINESVILLE, Fla. – Dr. W. Robert Knechel, Frederick E. Fisher Eminent Scholar and Director of the International Accounting and Auditing Center, received an honorary doctorate from BI Norwegian School of Business this June in recognition of his significant contributions to the field of accounting. Knechel also gave a lecture, titled “Who Do You Trust? 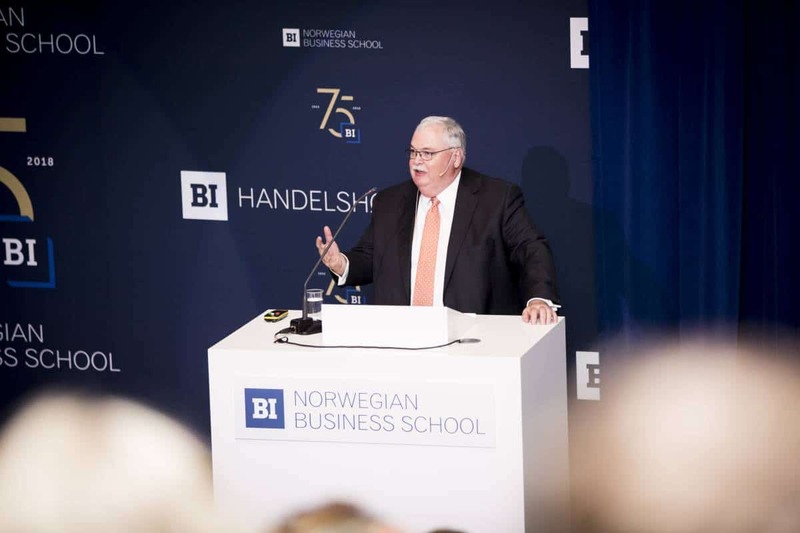 Auditing and the (Political) Economy,” prior to receiving the prestigious award from BI Norwegian Business School, the largest business school in Norway and the second largest in all of Europe. Knechel was one of five individuals presented with an honorary doctorate at the June 1 event at Oslo City Hall, where the Nobel Peace Prize Ceremony is held annually, and one of 12 to receive the award in 2018 as part of the school’s 75thanniversary celebration. Knechel has been a faculty member at the University of Florida Fisher School of Accounting since 1981. He is also a Visiting Research Professor of Auditing at the University of Auckland Business School and Research Professor in Auditing at KU Leuven. His primary areas of research include issues related to assurance, control, performance measurement and auditing. His research has been published in several top accounting and auditing journals including the Journal of Accounting Research, The Accounting Review, The International Journal of Auditing and Auditing: A Journal of Practice & Theory. Knechel is a member of the Standing Advisory Group of the Public Company Accounting Oversight Board and a board member of The Foundation for Audit Research. Knechel received his B.S. in Accounting from the University of Delaware and his Ph.D. from the University of North Carolina at Chapel Hill.